Very often in usability testing we see things that are minor or cosmetic usability faults but which have a larger consequence than expected due the context in which they occur. For example if a person sees a spelling mistake on the shopping basket page of an e-commerce site they might think “I’m about to give these guys my credit card details in a minute, but they can’t even spell words in proper English. I’m not so sure now… maybe I’ll check out that other site I saw.” Shopping cart abandoned. I call this the Wonky Tray Table Effect and full credit to our client who told me the story which gives it this name. Apparently he was on a long flight having the in-flight meal (rarely a pleasant experience in economy class) and the fold-down table was a bit broken. The hinged strut holding up one side of the table was missing a screw, so every time he pressed down to cut his food the tray tilted. Drinks slid and almost spilled. A pretty unpleasant experience at 30,000 feet. So he had extrapolated his minor problem of a tiny missing screw into doubts over the structural integrity of the aircraft and the brand of a major international airline that shall remain nameless. Totally irrational I know, but we humans are like that sometimes. Similarly when your customers experience a typo or a misplaced apostrophe (my personal bugbear) there is a risk that this could trigger much wider doubts over credibility & security. The user experience means more than just usability and one reason for this is the context of use. Especially when entering into the checkout and buy phase, when the site is asking the visitor questions instead of providing useful info, people are a bit sceptical and easily dissuaded. They don’t want to be filling out the form in the first place, but they need to in order to get the stuff they want. Showing your customers your faults at this point is more likely to cause them to think twice. The moral of the wonky tray table story is don’t overlook or accept even the apparently small errors, especially on the home page and registration or checkout. Excuse me while I go proof read the User Vision site again…. 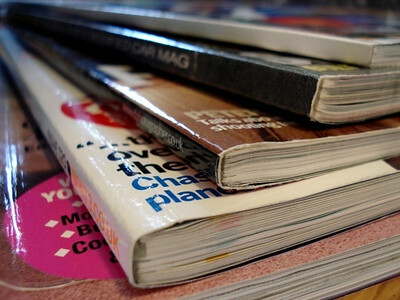 Magazines want to end their ad network woes. By creating a new ad network. Magazines are desperately searching for new ways to stave off the bleeding of their advertising losses. Last week they came up with the idea of an online marketplace that could bundle and sell subcriptions to e-readers. Now they’re thinking of ending their love/hate relationship with ad network by creating one of their own. That is an endeavor easier said than done. Here’s another argument for the freemium model online. the CUNY Graduate School of Journalism has started the CUNY New Business Models for News Project, and the school’s research so far has found that putting content behind a pay wall online does not work. CUNY ran the numbers on a few paid models for newspapers online. What did they find? That publications that try charging for all their content will lose millions of dollars.